Happy Friday! 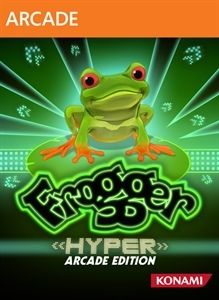 Today you can check out the newest remixed version of the classic frogger game called 'Frogger: Hyper Arcade Edition'. 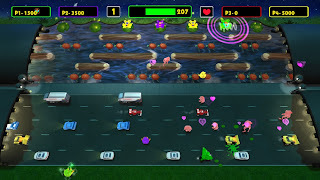 This version of the traffic hopping game will cost 800 MSP ($10). 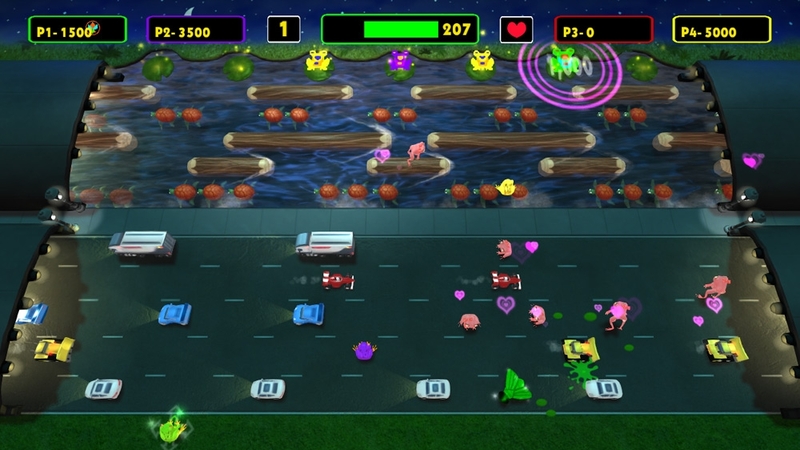 "Frogger’s coin-op thrills are back and better than ever! Jump into the action with classic and brand-new game modes that expand on Frogger's classic run-and-dodge gameplay. Customize your game board with different skins, from the modern neon style of HYPER ARCADE to the 8-bit sprites from Castlevania and even CONTRA! Throw down against friends or the CPU in up to 4 player matches to find out who's really the top frog!"